I enjoyed a most interesting dinner and conversation last evening with Reuben, a fascinating fellow that works by day at the proving grounds in Yucca, and in his spare time, works to create a living time capsule from the long derelict Great Western Service Station in Valentine. His dogged research to pin down an exact date for the stations construction has narrowed it down to around 1941, plus or minus a couple of years. In renovating the property with a goal of creating a time capsule, a place on the road for travelers to enjoy an authentic experience, as well as an opportunity to experience a bit of cinematic history due to the areas association with the movie Easy Rider, he has learned that at one time a small coffee shop was also a part of the facility. To date, he has put a few of the old signs found in the attic back in place, is evaluating how to uncover and preserve a few ghost signs, added a few vintage cars as photo ops, and is setting up a website so folks can chart progress. He will also be introducing a t-shirt soon. It looks as though another Route 66 era roadside survivor is about to get a new lease on life. Speaking of signs and a bit of Route 66 history, the folks in Holbrook need some assistance. The Dairy Queen in that city has a delightful neon sign that is at least fifty years old. The corporation is wanting the franchise owners to take it down, and replace it to ensure continuity of the brand. This is the link for the petition to save the sign. Yesterday I stopped by the new office in the historic Dunton Motors facility next to Mr. D’z to pick up some area promotional materials for a car club that luncheon where I was to make a presentation. Restoration of the ultra rare 1954 Ford with factory glass top is about complete and it will go on sale in the next week. If your looking for a really unique cruiser, this is it. Just drop me a note and I will provide full details. A few weeks ago they acquired a 1953 Ford sedan. The interesting aspect of this cars story is that it was purchased new at Dunton Motors in Kingman! Even though I am not keeping regular office hours at the facility, it is an interesting place to use as a base of operations. If your in the neighborhood let me know and I can give you the grand tour. 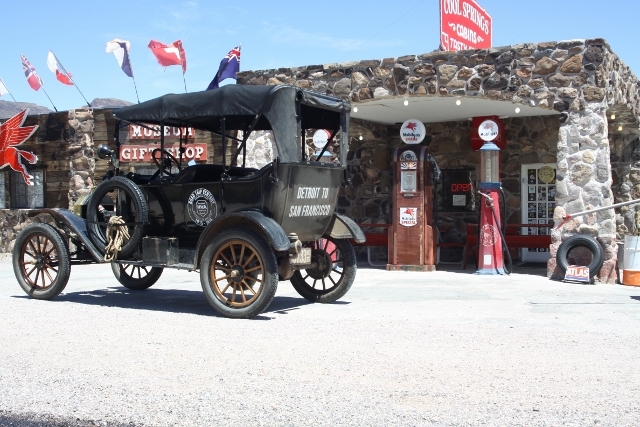 I should also note that the owners of the dealership are setting up the Route 66 Association of Kingman gift shop with some unique souvenirs. As part of an a recent interview with the Chicago Tribune at the new office, I got Roy Dunton involved. He is the patriarch of the family who went to work for his uncle N.R. Dunton at his garage in Gold Road back in 1937. Roy has been involved with the dealership since it opened in 1946. As a side note, N.R. built Cool Springs in 1926. Some great stories were told, a few of which will make it into the next book. 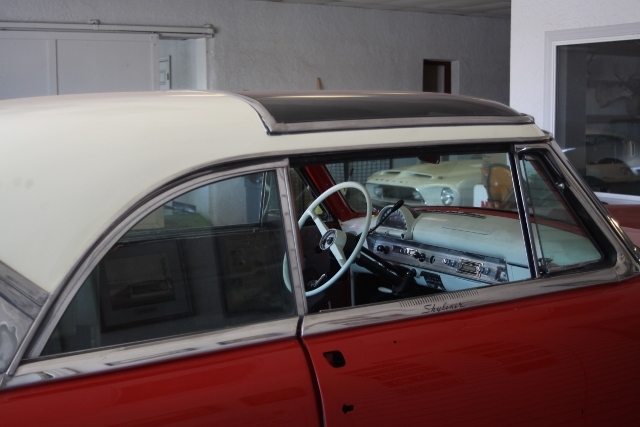 These included involvement with the presidential campaign of Barry Goldwater, a near death experience with a split rim wheel in the Gold Road garage, and adventures as the owner of an Edsel dealership. While we are on the subject of Route 66 stories, thank you for sharing yours. Please keep them coming. We will keep the contest going as long as there are stories to publish. Today, I have one more from Mark Nowning.